White, middle-aged, single gay man who collects antique clocks, antique black amethyst glass, does massive gardening, but only with flowering plants. Avid reader. Have been to 14 countries. Children, animal companions, antiques, travel, spirituality. I have been looking for a job and signed up to several web sites that offer help with finding jobs. I received an email from Employment Garden listing several jobs. I never signed up for this web site and when I tried to unsubscribe, the unsubscribe page cuts off contact. That makes it impossible to not continue getting their emails. Seems like a shady company that won't allow people to unsubscribe. And, how did they get my email address anyway? Tip for consumers: Don't even open the email. My security system tells me it is a malware site. Ordered a 3 pack off variegated Bougainvillea plants. Although the price was a little high, the plants were packed well for shipping and got here in excellent condition. They have a nice web-site and offer a huge variety of garden plants. Tip for consumers: If you go the web-site you will spend a lot of time cruising through their plants being offered for sale. Tried to order a set of 3 different bougainvillea plants but PayPal would not go through. I closed the website and the next day, Mr. John Talbott contacted me personally and apologized for the PayPal problem and I ordered through him with my credit card. Because of the problem, he gave me the same deal at 25% less than the online order. The plants arrived packed very well and in good condition. Top of the line customer service. Being a vegetarian, it is difficult to find a upper rung restaurant that doesn't charge a high price or offer cutsey vegan dishes. I love Green Tomatoes. The food is fresh, the soup bar you could live on by itself, the bread and desert bar is fantastic. The price is good and it is all you can eat. Staff is friendly and efficient. (If nothing else, I would go for the soups! I can't make them that good!) I even wrote their headquarters asking them to open one in my section of the county. Now I live within 5 minutes of the only one in the county. Oh, and they have seniors specials that are priced ridiculously low. Tip for consumers: Go and enjoy the best salad bar, all you can eat, restaurant I have ever been to. Went to Cody's Steakhouse as a guest in Pinellas County FL and was impressed. When you walk in you can fill up a little bucket with peanuts in the shell. As you eat them, you throw the shells on the floor. Very rustic. Not a quite place, but not so noisy as to be uncomfortable. The food was phenomenal and inexpensive. The waitresses do not use order pads and our waitress forgot two of our items. She did get them for us. We did sit next to the bar, and one "lady" was so loud it was irritating. Once she left all the patrons in the area laughed and winked at each other. The place does stay packed. They also have an outdoor dining/seating area. (I smoke and I appreciated that.) The staff is friendly and pleasant. Tip for consumers: Go on an off day. Do not go a peak hours. The food in incredible and the pricing competitive. WaWa is a Canadian company that invaded Florida a few years ago. Not only are they quick, efficient, extremely clean, well lit, competitive in their pricing, they also provide free air machines for tires. Everything WaWa does is rungs above American companies. Our homeland companies could learn a lot of lessons from our north of the border WaWa friends. Tip for consumers: For a uplifting change, try out WaWa. Service and product as it should be. EverQuote advertises on-line that once you enter your automobile insurance and personal information, you will never have to do it again and they will transmit all your info to automobile insurance companies that will contact you with lower automobile insurance rates. That is a lie. I have had to repeat over and over again all my info to various companies and finally gave up. And, after checking them out on the Better Business Bureau web site, I see that they answer all their complaints with double speak. Never addressing the issue of false advertising. I did file a complaint with the BBB. Tip for consumers: Call individual companies yourself or go to their website. EveryQuote is just making money on your time sending your contact information to other reputable companies. I have been wanting a battery operated mower for a long time. But was put off by the price. I finally bought a self-propelled, battery operated mower by Ryobi. I also bought a 2nd battery as a back up. I couldn't be happier with this mower. Although it does not have the power of a gas mower, it is quiet. I don't have to buy gas or oil anymore. I push one button and it comes alive. Pull one off two levers and it's off at a speed I select with a sliding button. I use it on mulch mode and it leaves no grass clumps behind. It is lighter than a gas mower. The handle folds into the body and the mower can be stored in an upright position or hung from the wall. I had been looking for Gay Pride pins on different web-sites and was amazed at the high prices. Then I found Pin Mart. Their prices are almost 1/2 of what other web-sites offer. I wonder if the other companies are buying from Pin Mart and reselling the pins! Pin Mart offers a huge selections for every kind of use. Amazing at the variety they have. Very impressive. Tip for consumers: Scroll around for the mega-variety of pins they offer. When the installers came to install the door, they brought the wrong door with them. The installer told me that they would still put the door in and within a week someone would come out with the correct upper panel of leaded glass. I called Kaitlin (sp) at Banko and she had someone come from their warehouse with the correct panel. then after the installers left, they had not installed the rubber seals correctly around the door and I had to call Banko again. They had a repairman come out the next day and properly install the rubber seals. The installers may have not been on top of their game, but customer service in fantastic at Banko Overhead Doors. I need a modern garage door to replace the old one piece up and back door. I had gotten a written estimate 2 months ago, and decided today to go with the original door I had selected. The 2nd Sales Agent, Theresa, who came out today had to re-write the order. I had selected upper windows in leaded glass to match the new front door I'm installing. Because she could not find the price for the leaded glass windows, she gave me the leaded glass windows for the same price as the plain glass windows. That's a bargain. I probably saved around $400 on the leaded glass windows. I am very impressed with Banko Overhead Doors. I had spoken with Amber twice on the phone. She was professional, personable and knowledgeable. And dealing with Theresa today was the same. A very friendly, polite, charming, professional and knowledgeable. If the installers are even half as nice as Amber and Theresa, I will be further impressed. Plus Banko's garage doors are less expensive than 4 other competitors that I had price the job. Tip for consumers: Look at the different options. Earlier I wrote a review of Atmor Tankless Water Heaters. The problem I faced was not looking at the output of the water heater. Had I done that I would have selected a higher level unit for the Kitchen and Bathroom sinks. That's my error. A rep with Paragon Group USA did call me today and offered, at no cost to me, to replace the units with larger capacity units. I have unfairly categorized the Atmor Tankless Hot Water Heaters as a "poor product". Although I selected the unit based on the chart listed on the retailer's web site, I neglected to look at the gallons per minute output. Had I done that I would have understood I needed a more productive unit. So, I have to give Atmor a better rating, especially in customer service. Tip for consumers: Make sure if you select a model based on the use on the chart you also look at the gpm output. I purchased 3 Atmor units from Home Depot on sale. Two were the AT900-03 and one AT900-10. I selected models based on your chart and that I live in central Florida. One for the kitchen sink, one for the bathroom sink and the AT900-10 for the shower/tub. The kitchen sink: AT900-03 The water flow is 1/2 of what I normally get using the aerator supplied with the unit. It takes a very long time for the water flow to fill a sink or coffee pot. Because the aerator is so high pressured, it makes the water splash on the back-splash and onto the counter. The bathroom sink: AT900-03 Your aerator does not fit on my faucet, so I had to use the one that came with the faucet. The water, because it is not restricted like your aerator does, is luke-warm. It never gets hot. Flow is still diminished. The shower/tub: AT900-10 This unit works fine and produces plenty of hot water. Overall, I am deeply dissatisfied with your product and would not recommend it to anyone. If I had known the shortcomings of the AT900-03's I would have gone to a higher unit. But based on your scale and my point of use, I selected what your chart recommended. I did try to call the customer service number listed on the material included with the units. I got a recording and was told someone would call me back. No one did. Lousy customer service. Even Paragon Group USA email address is hard to find. Tip for consumers: More than likely you will see units for sale on other company's web-sites. Do not buy these units. If you do, go to a higher unit than the one recommended on the charts supplied. I needed a plumber to complete the installation of a tankless water heater for my shower/tub. The company I usually use does not do elec tankless water heaters! I called Joe Cool, spoke to a lovely call taker and set up an appt for the next day. The plumber, Daniel, called me while on his way to my house. Once he arrived, Daniel only took 39 min to complete the job. He was personable, knowledgeable, and his expertise was evident. This is a small, privately own company. I was very, very impressed Daniel and the service provided. I used an online coupon for $60 off provided on Joe Cool's website. And, the cost was less than 1/2 of what I usually paid the other company! Tip for consumers: Enjoy being treated like a human with Joe Cool Air (Plumbing). I wanted to order a Pink Triangle and had gone to a website. One of the complaints on that website was that PinMart sold the pin cheaper. Went to PinMart and was surprised that the (lapel) pins were 40% cheaper than other websites. And the variety of pins is phenominal. Ordered my pins on Monday and had them by Saturday. Great product and reasonable price. Tip for consumers: Look at all the pins in the categories that interest you. I ordered 28 plants from New Garden Plants in Hudsonville MI on the 8th of December and received the plants on the 15th of December. After spending a day on the web trying to find a vendor that would ship immediately and not wait til Spring, I was ecstatic. I received the plants today. NOT ONE PLANT WAS LABELED! I have 28 pots of plants and have no idea which is which. I tried to call and got a recording that tells me to send "Pete" an email. Which I did. I buy a lot of plants and am experienced in using dot-com companies for plants. I do not recommend anyone buy from this site. It is irresponsible to not mark the plants and not have a telephone number I can speak to a live human at. Shame on you New Garden Plants nursery and shame on you "Pete". Added Comments: After unwrapping the first 11 plants, the rest had labels on them. So I was able to discern what 11 of those unidentified plants are. The 12th plant was a freebie. The label was stuck down in the pot. I'm still not happy with that kind of mistake. I'm not sure I'll use New Garden Plants again. I still have to get over my homicidal anger! Tip for consumers: If you order more than one type of plant, you will have trouble discerning which plant is which. Not much to say. Felt like I was in a closet. Aisles cramped and over filled. Felt encompassed. Prices were better than a convenience store, but not as good as a full sized supermarket. Rode my motorcycle there. It is a small, small salad bar with just the basics. There are also 4 types of pizzas: pepperoni, hamburger, cheese and vegetarian. The vegetarian pizza is the best I've ever had. It was scrumptious! Also had pasta shells with cheese and tomato sauce. There was also homemade lasagna. There were two deserts: rice pudding and baklava. I ate so much, it was difficult to get on the bike! The wait staff is very pleasant and replaced my sweet tea as fast as I could drink it. The decor is beautiful. Very Italianate. If you're expecting a 90 item, all you can eat food bar, this place is not for you. This was my first visit and I will go back and take friends. Oh, my bill was $12 for all I could eat and unlimited sweet tea! Pizza buffet hours are 11 a.m. to 3 p.m. everyday. Tip for consumers: Remember, it's basic. But well worth a visit. You will go away full. I only need internet. While other companies charge a lot more, I was able to get internet for $39.99 a month. 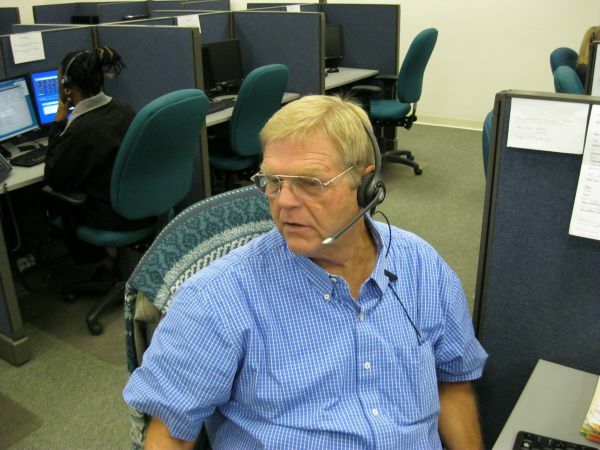 The staff at the call center were friendly, knowledgeable and did not try to upsell me. The tech who came out to run the line was fast, efficient. It's not a huge company, but it services my area. I would never go back to the other local provides now. I can see why the call it WOW! Recently went on the web-site to order shoes. More than 50% of the shoes are no larger than size 10. I ordered 8 pairs of shoes. The company broke my order into 3 parts and charged my debit card in two charges. I saw no where on the web-site that I would pay an international charge card fee. At check out, I opted to not use Pay-Pal and submitted my order. It came back later, refused and refunded. The charge card fee was not refunded. Apparently one must use Pay-Pal or you cant order. My funds were refunded immediately. Nice site, but was also unaware it is a Chinese site and, if I understand it correctly, shoes are shipped from different locations in China. I would not recommend anyone buying from this company. There are too many American companies that do a better job and are more web friendly. Fortunato's Italian Restaurant, mostly take out. Located on Starkey Rd. in Largo Fl, near the intersection of Park Blvd and Starkey Rd. The best Italian food I have ever eaten. Plentiful. Priced right and made in house daily. Nicest woman I've ever met owns the place. Tip for consumers: Call ahead to pick up at the take out window.